rom Smitten Kitchen please do visit her site for more pictures of the actual process! 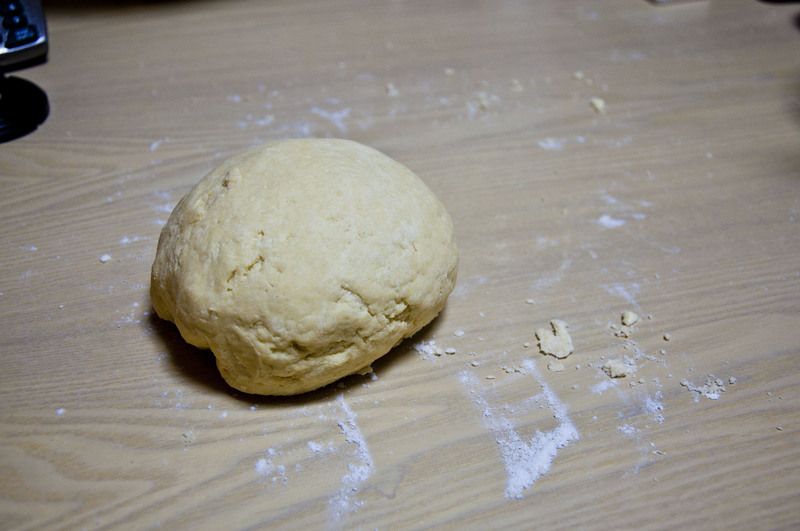 Beat the additional egg and brush it over the entire surface of the first dough. This will be the “inside” of the tart; the egg is to help glue the lid on. 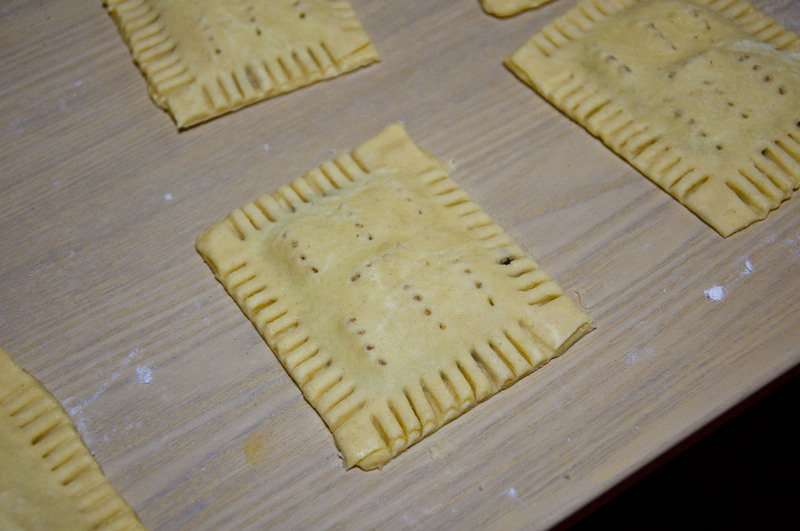 Place a heaping tablespoon of filling into the center of each rectangle (that has the egg on it), keeping a bare 1/2-inch perimeter around it. 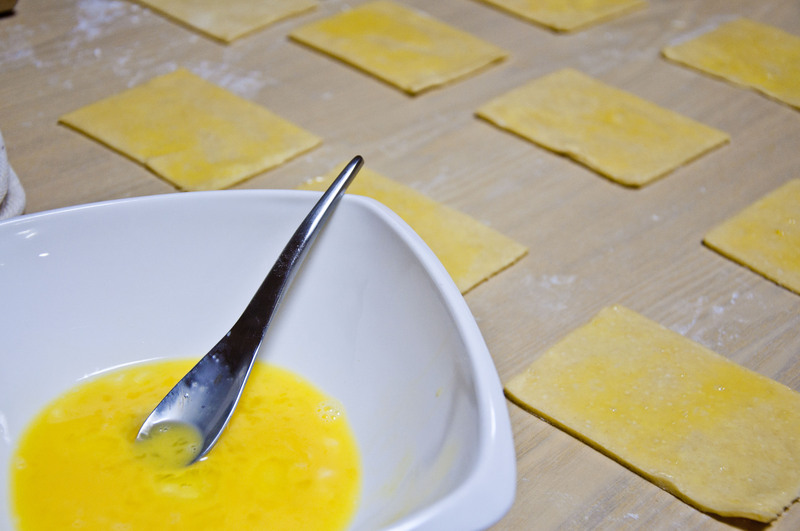 Place a second rectangle of dough atop the first (dough with out egg), using your fingertips to press firmly around the pocket of filling, sealing the dough well on all sides. Press the tines of a fork all around the edge of the rectangle. 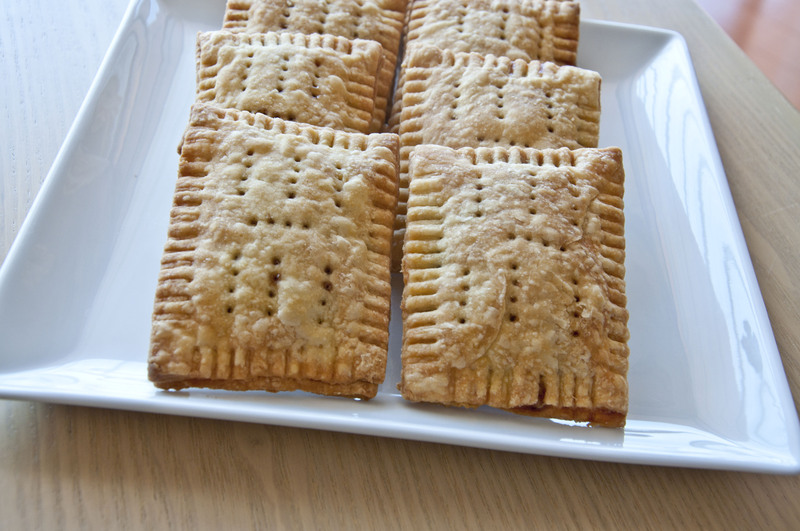 Repeat with remaining tarts. 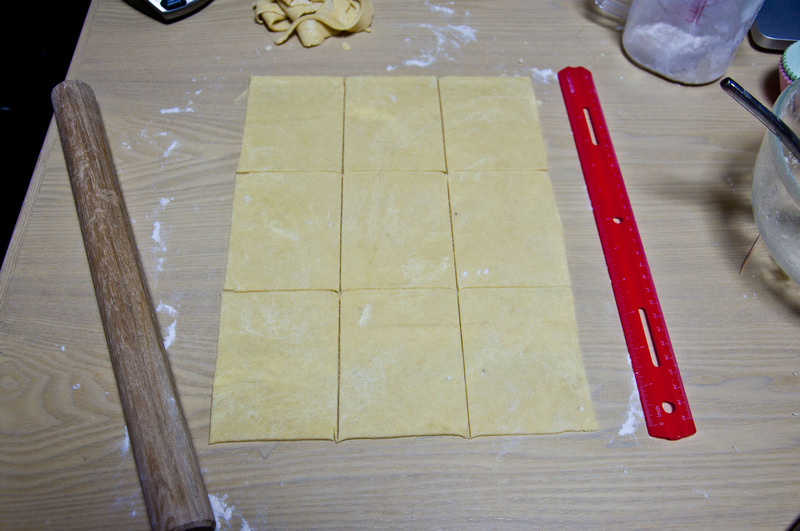 My mom taught me this with pie dough when I was a little girl. Make trimmings into a ball and then roll them out to desired thickness, no need to worry about the shape. 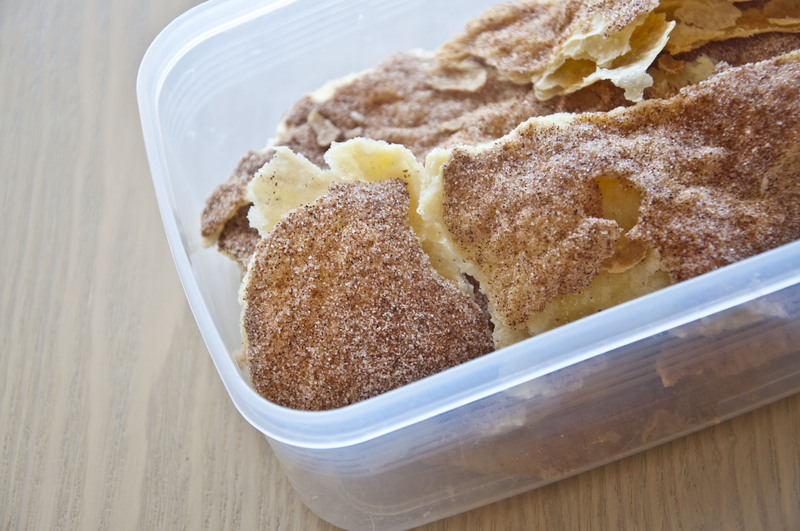 Sprinkle the dough trimmings with cinnamon-sugar. 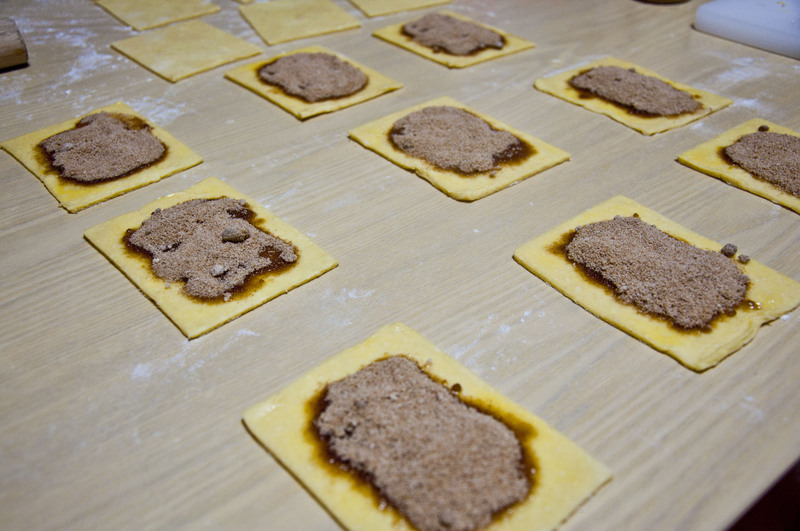 While the tarts are chilling, bake these trimmings for 13 to 15 minutes, till they’re golden brown. We LOVED snacking on this as a child and now my husband enjoys it!